A line from the new education documentary “Most Likely to Succeed” raises the question of student’s abilities to make decisions when we don’t allow students to make decisions. School is too often about content, memorizing and recalling, when the real focus should be on raising future adults, future adults capable of making informed decisions. In the original article (10+ Tips for Using Brain-Based Methods to Redesign Your Classroom) Erin Klein explores brain-based methods for redesigning your classroom. Below is a brief summary. Layout and Use of Space: are there different spaces within your room that serve different purposes? Furniture Choices: are there choices of furniture for students, or is all seating uniform in nature? Color Selections: is your room full of bright colors and busy patterns? Lighting: what sources of natural light exist in your room? Are there ways to introduce other light sources besides traditional fluorescents? Nature: is your classroom sterile and free of living organisms? Environmental Print and Design: are your walls plastered with busy posters? Are they a resource for learning? Organization of Materials: is your room organized as a workspace for students or a storage area for supplies? When considering how you might redesign your classroom, why not ask the students? What is their vision of an ideal learning space? More often than not, it’s not what currently exists. In another article (Campfires in Cyberspace) with a similar message, David Thornburg, Ph.D. suggests that learning takes place “in four spaces, only a few of which are honored in most schools.” These four learning spaces are: 1) campfires (information); 2) watering holes (conversation); 3) caves (concept); and 4) life (context). What are some ways you might redesign your classroom AND involve students? Imagine the possibilities! Teacher Support…It needs to change. A common message in education these days. . . It needs to change. More specifically, a number of recent articles suggest one area of change should be teacher professionalism. What does this professionalism look like? How does professionalism impact job satisfaction? To no surprise, one key piece of job satisfaction is teacher support. These practices of support tend to be more beneficial for teachers of students considered as low socioeconomic status. Unfortunately, these are also the teachers that tend to receive the least support. From an OECD report published in February 2016 (Original Article – OECD: Teacher Professionalism Needs Improvement Worldwide), three areas of teacher professionalism were identified: 1) knowledge base of teaching and best practices; 2) autonomy of teacher’s decision-making abilities; and 3) peer networks for professional learning. As a means to ‘score’ professionalism in these three areas, the average number of best practices was considered. Some key findings included: more pre-service support than in-service support; teachers have more say in selection of course materials versus assessment, content, or discipline; peer networking is often observation rather than collaboration; and primary teachers are more likely than secondary teachers to participate in development. For the United States specifically, most teachers have participated in teacher education programs. However, just over half are given release time for professional learning, and still fewer participate in research. Control over materials was seen as the area of most autonomy, with far fewer having say in discipline practices or assessments. Most teachers reported receiving feedback from direct observations, while less than half indicated they participated in more collaborative peer networks. While no specific policy suggestions were made for changing teacher professionalism, the report offered the following recommendations: require pre-service education training; expand mentoring; conduct classroom-based individual or collaborative research; and encourage participation in peer networks. What are some suggestions you have to help to make the change to support our teachers before and during their careers? A Most likely to succeed MOVIE! A screening and discussion of Most Likely to Succeed that is free & open to the public! 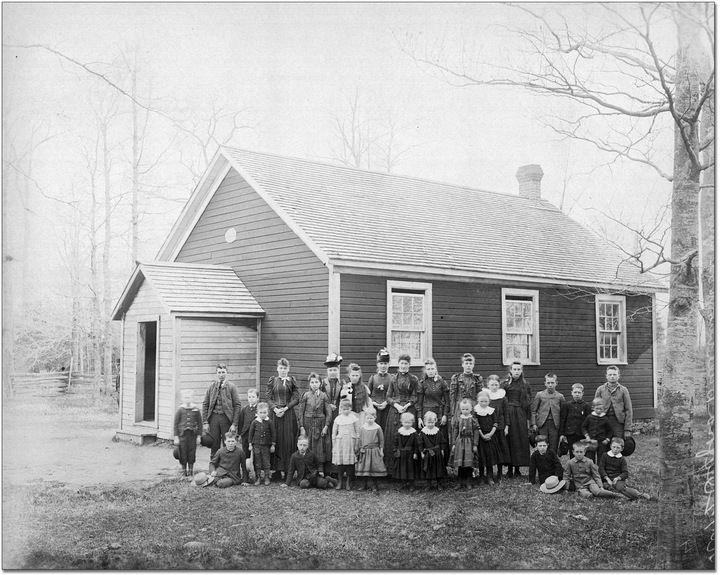 A lot of things have changed tremendously since 1890 for the better, except for schools. We have had the same model and expectations for our students for centuries (literally). This movie exposes the outdated flaws and issues we are still facing today. Not only do they find the issues, they already have the answers. In fact, their solutions are so good that they’re named “most likely to succeed”. We invite everyone who can possibly attend to come see this film. It’s completely free to see and is appropriate for all ages. Come see what will probably change everybody’s lives in this country and maybe even the world. After the screening, we will have food, drinks, and open conversations about the movie. Sal Khan from Khan Academy said, “the 21st century is going to be all about building, creating, and innovating. This remarkable film shows a path of how we can empower all of our children to do that.” For more information on the movie, please visit http://mltsfilm.org/. We are looking to move KC education forward from this screening with goal-oriented action tank groups. We hope you are able to join us to preview one of the “best edu-documentaries ever produced” (Education Week). A recent HuffPo article reveals results of California’s efforts to reduce student suspensions for minor behavioral infractions. Spoiler: the results have been mostly positive. More efficient, less exclusionary discipline tactics result in increased instructional time for the students. These precious minutes of instruction translated into improved academic performances. The verdict: every little minute helps, especially for at-risk students most affected by these changes. To support the students, we must first support the teachers. A notable response from the study was that despite the many positive outcomes, classroom teachers were left with sometimes-rowdier classrooms and minimal guidance on alternative behavior management approaches. 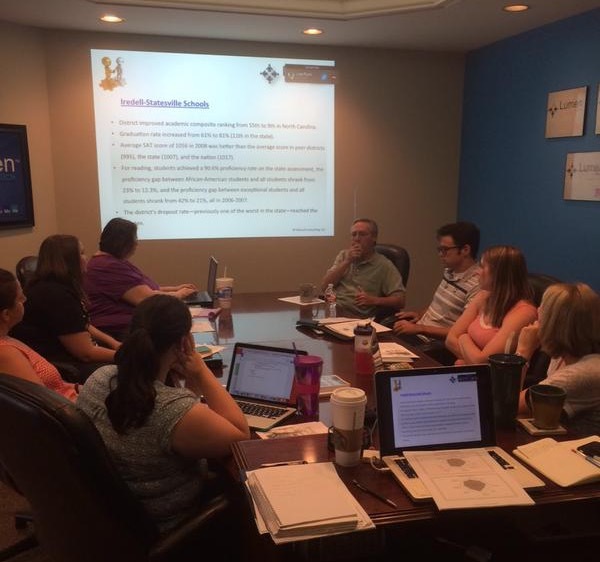 The verdict: always schedule PD to support teachers as a part of any change management plan. Last Tuesday, during another amazing Lumen8 Session, we discussed letting students walking into an empty classroom and spending the first week of school designing their own space based on their own needs. We were thrilled to hear that two teachers in the Kansas City, Kansas School District were piloting just that idea. There are many benefits to this. First, the students feel a sense of ownership over their own learning. 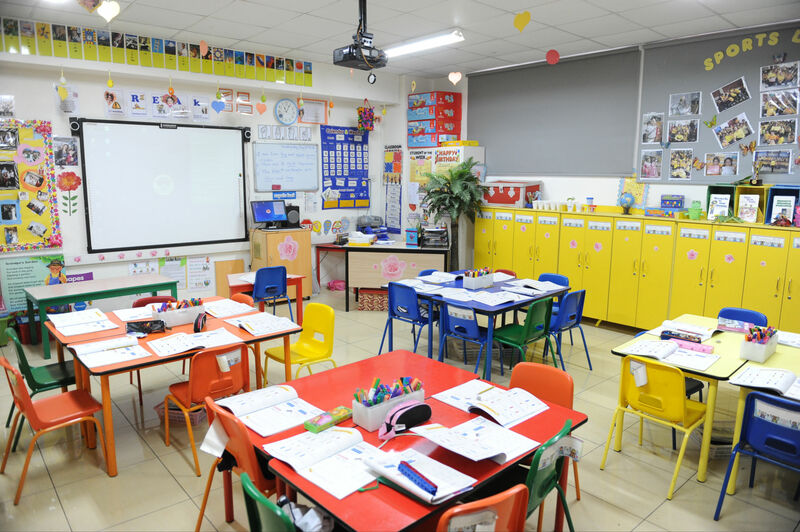 All teachers understand that controlling the classroom space has a strong effect on students’ learning. Having students take ownership over that process will have an even greater affect. Second, it will let students have a deeper understanding of how they should and want to act in a classroom. This way, the learning deviates from a “teacher gives and student takes” model to a more “teachers and students are partners in learning” model. A great blog post on Edutopia outlines this even further, and gives some good research validation. As the school year gears up, happy classroom set up! Having a diverse faculty is really important, especially in today’s more diverse and global world. But oftentimes it is difficult to recruit diverse faculty because there need to be shifts in the systems of hiring. Over at the National Association for Independent Schools, they have a great set of guidelines to use, but most notably they talk about trying to understand that diversity recruitment is a different animal. It is a form of recruitment that deals with image, history, implicit bias, and many other things.